February 20, 1524: Don’t They Know It’s the End of the World? Those Peruvians must have thought the world was coming to an end when the volcano blew its top in 1600 (February 19). In Europe, they were certain the end was near quite a few years earlier. In fact, in 1524 you couldn’t swing a virgin without hitting a prophet of doom. They all pretty much agreed that 1524 was curtains and that a Noah-like deluge would be responsible, thanks to a conjunction of major planets in Pisces (the water sign) — Mercury, Venus, Mars, Jupiter and Saturn, being the culprits along with the sun. As far back as 1499, astrologer Johannes Stoeffler had identified the exact day of the giant flood as February 20, 1524. His authority on the matter was such that more than a hundred pamphlets were written and published on his prediction. George Tannstetter, of the University of Vienna, was one of the few astrologers who disagreed with the other Cassandras. Drawing up his own horoscope, he discovered that he would live well beyond 1524, and therefore the world would keep on turning. He was pretty much dismissed as a village idiot and ignored. In response to the many dire predictions, worried Europeans set about building boats. Arks were everywhere. One over-achieving would-be Noah, a German Count von Iggleheim, built himself a three-story ark, no doubt with some grand purpose in mind. When, on February 20, the predicted rain sputtered into a brief, inconsequential shower, the mobs awaiting the deluge grew restless, then piqued, and finally they ran amok, stoning the Count to death in the process. For the Count and a few hundred others killed in the melee, it was the end of the world (just as it was for those Peruvians who thought it would be entertaining to watch the volcano explode). Stoeffler, who somehow escaped the angry mobs, went back to the drawing board and came up with a new doomsday date in 1528. His perseverance, however, did not set afloat any more arks. For weeks the folks living in a small village 200 miles west of Mexico City had been hearing thunder when there wasn’t a cloud in the sky. Then on the afternoon of February 20, 1943, Dionisio Pulido, a farmer who was preparing his cornfield for spring planting, heard an unfamiliar hissing sound. There was also an unusual smell, like that of rotten eggs. As he stood there, a lump appeared in the ground nearby. It got steadily bigger, swelling to become a dome some seven feet across and seven feet high. A fine gray dust was rising from a fissure in the dome, and the hissing had become loud and continuous. The dome continued to grow rapidly. By nightfall it was spewing flames a half a mile high, bursting and falling back toward the ground like a fireworks display. 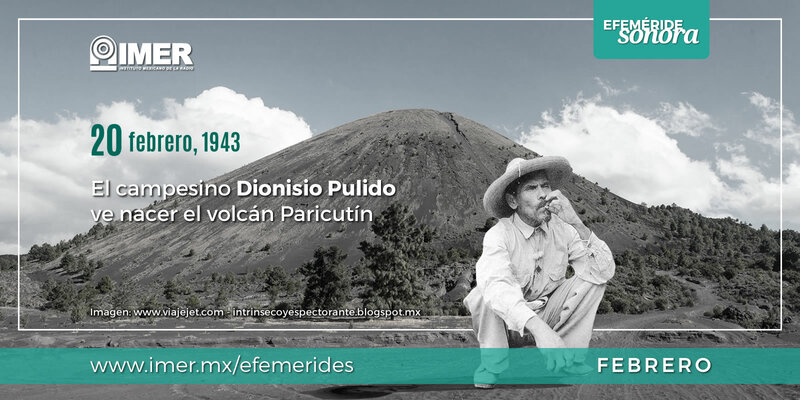 Dionisio and hs family escaped the spewing volcano as it began its 9 years of activity, erupting until 1952. When its temper tantrum was over, it had left a cone 1,391 feet high, destroyed an area of 90 square miles, and completely buried two towns. The volcano, known as Paricutin, is now dormant, and the area has become a major tourist attraction with hordes of hikers scaling the dome in search of grilled corn. Michael Stifel (or Steifel or Styfel) was a German mathematician, priest and monk. He was also a big fan of Martin Luther, publishing a poem called On the Christian, righteous doctrine of Doctor Martin Luther (not really in the same neighborhood as Keats or Shelley). But what he came to be most famous for was a verse of a different color. The German saying “to talk a Stiefel” or “to calculate a Stiefel” meaning to say or calculate nonsense can be traced right back to Michael Stifel – all because of one particular calculation our mathematician/monk made back in 1532. A few years earlier, Stifel had become minister in quiet Lochau, where the tranquil life allowed him to dabble in mathematical studies. His particular interest was in one that he called “Wortrechnung” (word calculation), studying the statistical properties of letters and words in the bible. As a result of these studies he published a book (publishing seems to be the downfall of many a good person), A Book of Arithmetic about the AntiChrist. A Revelation in the Revelation. Well, this had best seller written all over it. It had the sort of great hook a book needs to grab audiences – the rapidly approaching Judgment Day. To be specific – which Michael was – the world would end on October 19, 1533, at 8 a.m., German Standard Time. One would think that a would-be Nostradamus – especially one with a statistical bent – would calculate the risk/reward of predicting the end of the world. If you’re wrong, there’s a pretty large helping of egg on your face, and if you’re right, there’s no one around to congratulate you. As you might guess, Stifel fell into the first category. The townsfolk who, believing his prediction, did not plant crops or store foods and even burned their homes and possessions on the appointed day, were not amused. Stifel had to be taken into protective custody with the villagers chanting death threats outside his cell. He made no further predictions. It was a rough day for planet Earth back in 1910. 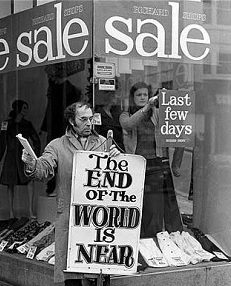 People were nervous – no, downright scared, on the verge of panic – as if the Mayan calendar had foretold the end of world – only worse. Halley’s Comet (or Toscanelli’s Comet, if you prefer) was coming to town. The returning comet first became visible back in August of 1909, when it was a good 480 million miles away from Earth. The chance to see a comet should be a cause for celebration, and for astronomers, it was a great opportunity. With more powerful telescopes and more advanced techniques, they were able to learn more than had ever been revealed about comets before. That was the good news. The potentially bad news was that this particular pass of the comet was going to be a close one, a frighteningly close one. As a matter of fact, the Earth would pass through the tail of the comet. In a somewhat misguided attempt to allay fears, noted astronomer Sir John Herschel said that the whole comet could be squeezed into a suitcase. The New York Times stated that he was clearly talking nonsense because he had failed to state who would do the packing. “Experience teaches that mighty little can be packed in a suitcase by any man. It takes a woman to pack one properly.” The flippant article suggested that it would be better to leave the comet where it is in order for everyone to feel safer. They didn’t. Doomsayers said that the comet would cause massive tides across the Americas as the Pacific emptied itself into the Atlantic. Charlatans sold comet pills that would supposedly protect against the effects of the poison. Churches held all night prayer vigils. 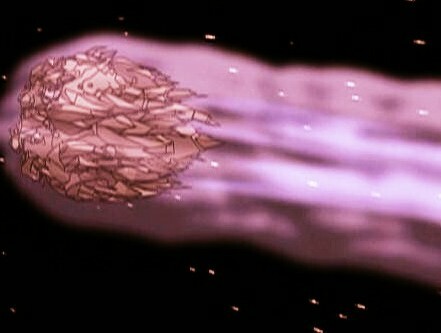 Finally, on May 19, with the world holding its collective breath, the Earth passed through the comet tail uneventfully. And it is comforting, in hindsight, to know that the world did not come to an end in 1910.